I’m a big fan of vinegar, so much so that I’ve been known to eat it by the spoonful. I always have a wide variety of vinegars in the house, there’s quite a collection going in the pantry. Most of my vinegars are specialty ones that only get used on special occasions, like my 30 yr old balsamic, which usually gets eaten with a spoon every now and then. 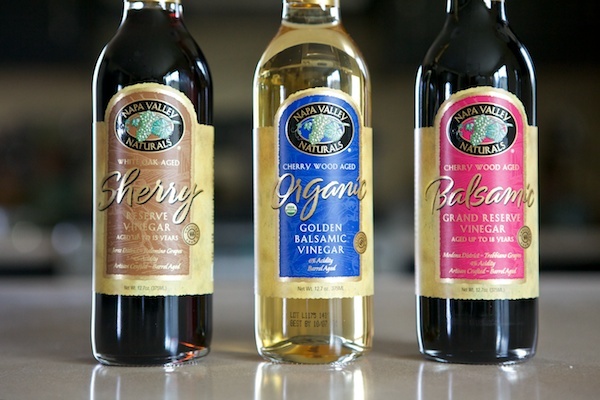 For daily use, I stock up once a year on vinegar from Napa Valley Naturals. I’ve looked for small farm balsamic and have yet to find it. Why do I purchase from them? Because they have organic, it comes in glass bottles, and it’s the best vinegars I’ve found in my search. These aren’t the only vinegars used, I also use a ton of apple cider vinegar, which I make myself from local unpasteurized cider. I’ve also made my own wine vinegar, but I haven’t found the right kind of wine yet to make vinegar that I like, so I get my wine vinegar from Napa Valley Naturals. If I had to choose one kind of vinegar to use for the rest of my life it would be apple cider vinegar because I can make it myself from local ingredients, but I’d certainly miss a good balsamic! What kind of vinegar do you use most often? Do you have a recipe for making apple cider vinegar? I would love to try it out this fall as we have a good source for apple cider. Thank you! If you can buy unpasteurized cider all you have to do is fill a wide-mouthed jar halfway, cover opening with cheesecloth, put in a dark cabinet and wait 3-6 months. It should turn into vinegar on it’s own. You can also buy a mother, or find a friend with a mother and start off that way. I have never had a batch go bad by letting it form naturally without an added mother. I’ll definitely have to do a post on the steps I take and what to look for, I have a tons of different batches in various stages of fermentation. I dont think I use one more than another.. it really depends on what Im eating or using it for. I like red wine vinegar for salads & of course apple cider for canning. I thought you had to have a mother. I just started the process of making my own, so thanks for the info. If you can find unpasteurized apple cider you won’t need a mother. If you can’t find it you’ll need a mother to get it started. I am a balsamic vinegar kinda girl. 🙂 I would LOVE to get my hands on some mother to try and make some vinegar, champagne or sherry vinegar would be awesome. 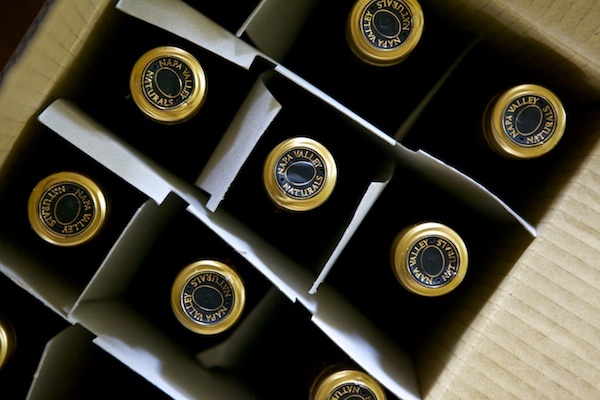 Suzy, I bought some amazing vinegars from a winery in Sonoma: Chateau St James. The make one with pomegranate Cabernet and balsamic and another with blood oranges and Riesling. Truly heavenly especially with walnut oil or avocado oil. I am trying to find a retailer that will ship and I’ll link it to you. Those sound wonderful – I’m always happy to find new delicious vinegars to try!